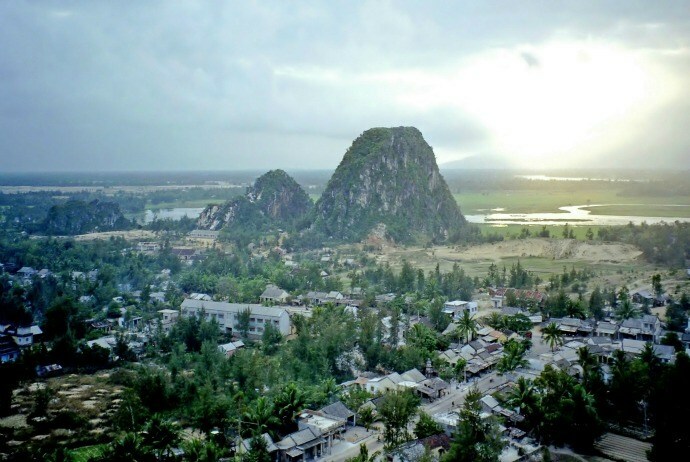 Home » Vietnam Travel » Da Nang City » 15 Things To Do In Da Nang City – What To Do In Da Nang? Da Nang (Đà Nẵng), the third largest city located in Central Vietnam, is one of the incredible attracting destinations for tourists when visiting Vietnam. Nowadays, Da Nang hosts religious sights & noteworthy museums, and iconic beaches & a theme park. When traveling to Da Nang, you could feel the mixture of the North and South culture. 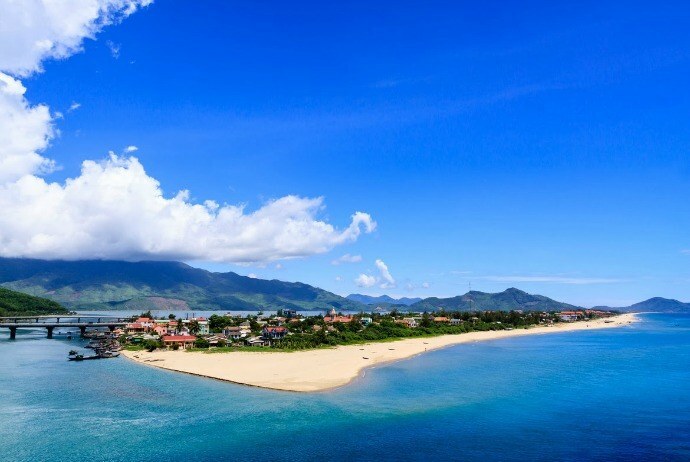 Situated between Hoi An (Hội An) and Hue (Huế), Da Nang is unlike other neighboring towns. It is a bustling regional hub, not only because it is a dynamic city for trade, education and sports but also the gateway to three UNESCO World Heritage sites (My Son (Mỹ Sơn) Sanctuary, Hue’s Complex of Monuments and Ancient Town). The surrounding area of this city is home to most compelling attractions of Vietnam, like the imposing Hai Van Pass, the magnificent Marble Mountains (Ngũ Hành Sơn), Son Tra (Sơn Trà) peninsula, and the natural wonder of Ba Na (Bà Nà) Hills. This city so benefits from fantastic restaurants, tree lined boulevards and shops. There are also a lot of beautiful beaches, fascinating culture, as well as archeological wonders in Da Nang. Da Nang has two featured seasons, which are dry and wet. The average temperature here is not too high, about from 280C to 300C. During the rainy season, it regularly occurs storms and rains. The weather in dry seasons is more comfortable and pleasant for people. 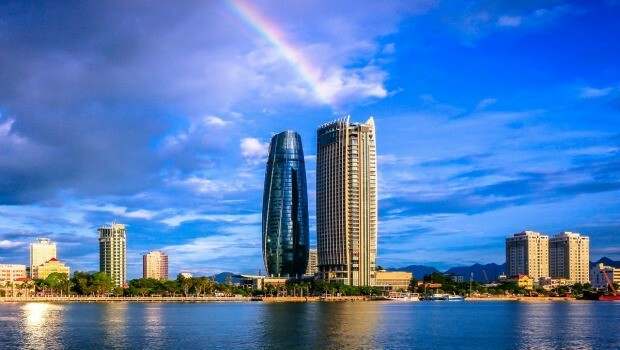 Therefore, it will be a great choice to visit Da Nang in dry season, from January to July annually. In this time, the weather is moderate and cool with light wind and beautiful sunshine that will absolutely facilitate travelers to visit impressive places of this city. Many travelers think about things to do in Da Nang at the beginning of their trip. Luckily, there are plenty of options. In reality, when it comes to things to do in Da Nang, the choices seem so varied. So, if you are among those looking for things to do in Da Nang, this checklist is for you as it will list down top recommended things to do in this city. Check out below! Containing the largest collection of Cham artefacts in the world, this museum is housed in the buildings that marry French-colonial architecture with Cham elements. There are over 300 pieces of art works displayed here, such as garudas, lingas, altars, Ganeshas, images of Vishnu, Brahma, and Shiva. The treasures originate from Khuong My (Khương Mỹ), Tra Kieu (Trà Kiều), My Son (Mỹ Sơn), Dong Duong (Đông Dương), and other sites. Sculptures rage in age from the 6th to 17th century. These works of art deal with Buddhist and Hindu influenced materials. It is better for you to hire a well-informed guide or pick up one of the best guidebooks at the museum shops in order to understand more about this place. Located among forested hills, about 30km west of the center of Da Nang, Ba Na Hills is the stunning mountain resort that features with varied flora and fauna, including many rare animals, such as Crested Argus, and Asian Black Bear. 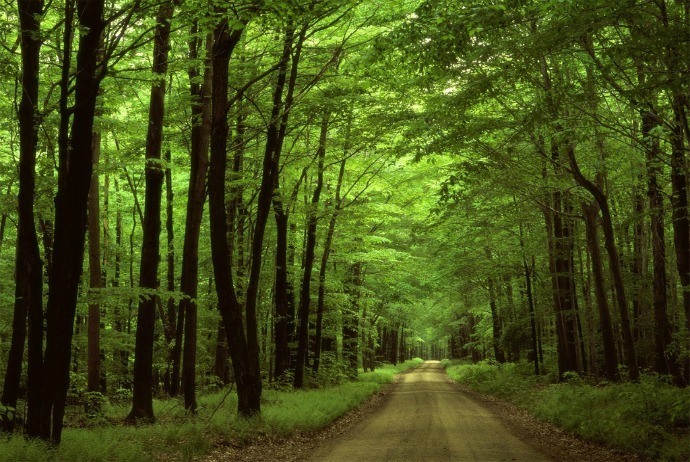 There are more than 540 species of plant in this area. Situated at the altitude of 1487 meters, Ba Na Hills was firstly founded in 1920s by those French colonists and now is accessible by modern cable car. Because of its altitude, the temperature is rather cool all year round. Besides, the Ba Na cable car is confirmed as the longest (more than 5km in length) and highest cable car worldwide, thereby offering great, breath-taking views of the area around. The unspoiled forest, temperate climate, and admirable views overlooking Da Nang’s bay along with the Lao Mountain range make Ba Na Hills an ideal retreat for the French in the past. 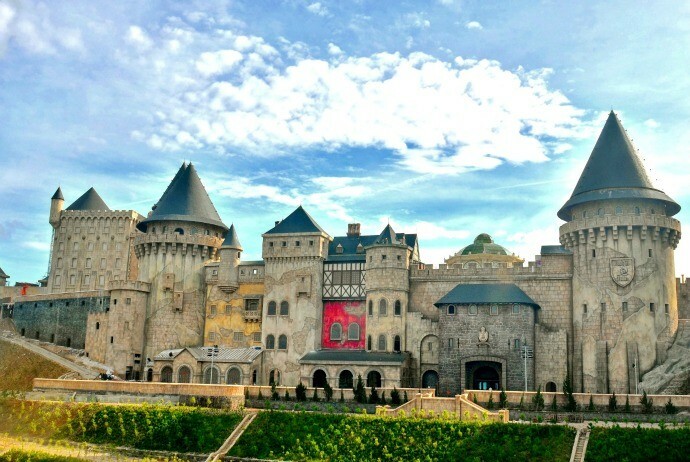 There is a park at the top of Ba Na Hills, which features with a replica European castle, and a gorgeous underground amusement park carved into the mountain, featuring with many kinds of rides. This is deserved to be one of the most worth-well things to do in Da Nang that tourists should not skip. In addition, it is nearby Linh Ung pagoda, which has a 27-meter white tall Buddha statue overlooking the mist and cloud of Ba Na Hills, visible for even miles around. Tourists could enjoy four seasons in only one day right at the top of the hills. The climate of the mountainous area is like spring in morning, summer at noon, fall in evening and winter at night. The sky here is unusually clear on such high altitudes like this, supplying tourists with clear view of both Son Tra Peninsula and Da Nang city year round. Besides, the height of Ba Na cable car might help tourists experience a truly amazing trip over the mountainous jungle. Situated within the Annamite Mountains in Nam Dong (Nam Đồng) district, Bach Ma (Bạch Mã) is about 65km from Da Nang’s center. This is reckoned one of the wettest places in Vietnam. The position of Bach Ma at the bio-geographical border between northern and southern Vietnam creates such a diverse range of habitats, including the coast and the high mountains. These various habitats are home to a lot of species of plant, making it a source of plant diversity of Vietnam. Also, Bach Ma National Park protects and preserves very important species of birds, particularly those native to the country. This national park of Vietnam was built in 1991 and covers the area of 22 hectares around Bach Ma Mountain. This mountain is about 1450 meters in height, and is amazingly covered by white clouds all year round. At the peak of this mountain, tourists could enjoy a wonderful panoramic view of continuous ranges along with the coast. With great natural scenery and an impressive climate that varies during just one day, Bach Mai National Park is among the most precious ecological hotspots in Vietnam’s central region. When visiting Bach Ma, you could also have a chance to approach closer to true nature, and explore such mysterious mountain trails, such as Do Quyen (Đỗ Quyên), Vong Hai Dai (Vọng Hải Đài), and Ngu Ho (Ngũ Hổ). As an ecotourism destination, Bach Ma National Park’s pristine forests should be one of your things to do in Da Nang. My Khe (Mỹ Khê) Beach, is one of the most well-known beaches in Da Nang. When visiting this ocean side city, you could not skip visiting at least one of beautiful beaches here. It is a must-do one among things to do in Da Nang for all tourists. This beach, in the past, was the R&R place for American troops during The Vietnam War. Nowadays, it is still used as an ideal destination for both locals and tourists to relax and enjoy the sun and sand. It is easy for you to find beautiful accommodations, along with clean beaches. Besides, there is a decreased amount of beggars in compared with other beaches. White sand, clear water, blue sky, and green forests surround the Non Nuoc (Non Nước) Beach. This beach was hailed as among the most beautiful beaches in the world by Forbes magazine in 2005. Tourists can enjoy surfing here, on the gentle waves. Situated in Tran Phu (Trần Phú) Street, Da Nang Cathedral, also known as Rooster Church, is the biggest cathedral in Da Nang. This cathedral is called as “Con Gà” due to its copper rooster weathervane. The Cathedral is nearly 70m in height and the only church that was established in Da Nang city under the French colonial. The architecture of this cathedral is in Gothique style. Inside, there are a lot of paintings as well as illustrations by the biblical decorated in art forms. Gorgeous medieval stained glass windows of a variety of saints reflect the delicate interior of this building. Nowadays, it can serve up to 4,000 parishioners and provide services in various languages. In the Mass time, if you arrive late, there is no seat available for you. Oftentimes, Masses are celebrated at 5:00 am and 5:00 pm from Monday to Saturday whilst on Sunday at 5:00am, 6:30am, and 4:30pm. 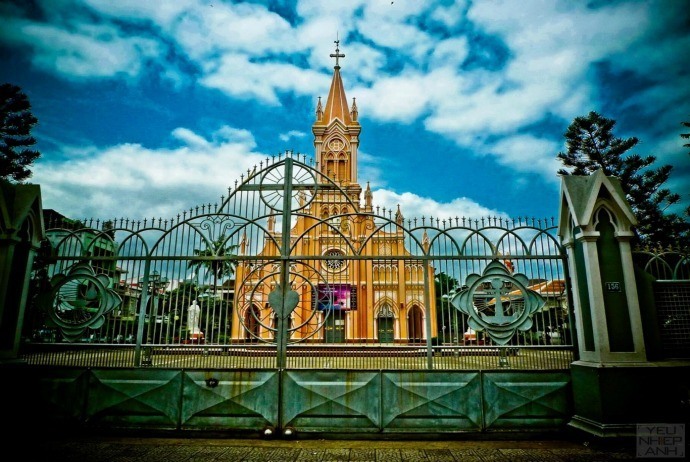 From this church, with a rapid drive, you could easily reach Non Nuoc Beach and Cham (Chăm) Museum – other interesting things to do in Da Nang. Pagodas in Vietnam are the traditional tiered places of Buddhist worship which hold special sacred articles. Pagodas in Da Nang features with striking architecture, history and culture present in Da Nang’s pagodas are really impressive. One of the most visited pagodas is Linh Ung (Linh Ứng) Pagoda, situated on the Son Tra Peninsula. Behind the pagoda lies an immense primitive forest that is home to many types of animals and plants. Located on a turtle-shaped hill that overlooks the sea, the pagoda’s construction has marked the significant development of Vietnamese Buddhism in the 21st century. Someone says that this pagoda is a special destination that links the Earth and Heaven. And, close to this pagoda, there is But Beach (aka Buddha Beach), one of the most beautiful spot on Son Tra Peninsula and a must-visiting for those people who love ecology. In the time of Emperor Minh Mang (Minh Mạng), fishermen discovered a statue of The Goddless of Mercy on this beach, and then a temple which is dedicated to the goddess was established on this place. Since then, local people have enjoyed prosperous and peaceful lives, and this area is nowadays known as Buddha (Bụt) Beach. When visiting this place, tourists are advised to spend their time on admiring 18 statues of Arhat, with different expressions of anger, joy, love and hate as they are great pieces that are meticulously carved by skilful artisans. If you can witness this statue, you will be deeply impressed by its height of 67m. It is considered as the tallest in Vietnam, which is equally to that of 30-storey building. This statue has 17 floors inside, and each floor houses 21 tiny Buddha statues with various shapes as well as facial expressions. Local residents say that the Goddess of Mercy statue, which faces the sea, gives local fishermen the strength to handle with high waves and storms. Remember, it is not necessary for you to be a Buddhist or religious to visit here. You could just come to the pagoda to find some spiritual therapy for the difficult situations in your life and some motivation to handle with the burdens of your soul. Another pagoda among many pagodas in Da Nang is Phap Lam (Pháp Lâm) pagoda which is an active Buddhist place of worship. It is also a home to an impressive Buddha statue and is open to tourists and worshipers. It is said that the quietest time for enjoying the religious art and beautiful architecture is during the evening hours as other tourists have gone. Visiting Pho Da (Phổ Đà) pagoda is another one in this list of things to do in Da Nang. 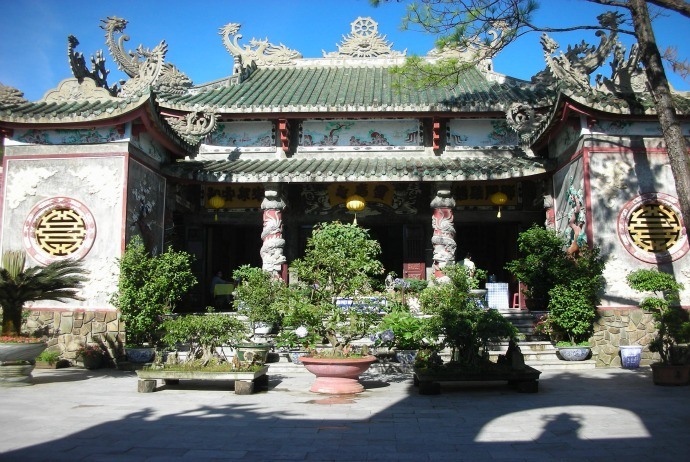 Established in 1920’s, Pho Da pagoda is an active place of worship situated in Da Nang. It is rebuilt many times, and the ideal worship place for a lot of lively Buddhist festivals throughout the year. This is a cluster of five hills. Marble Mountains exists in a coastal area and is a famous pilgrimage spot with caves, tunnels, peaks and temples – all just waiting to be explored. This name of “Marble Mountains” originates from 5 elements, water, earth, fire, wood, and metal. Marble Mountains is renowned for sculpture and stone-cutting. It is said that caves inside these mountains hold a lot of secrets, such as bullet holds as troops used to spy on the US soldiers relaxing on Non Nuoc Beach below and buildings located between the caves and grottoes. Besides, there are a few Buddhist sanctuaries and sites of worship dotted across these mountains which are much-visit spiritual place. Also, many pagodas and temples and even a particular circular cave characterizing a chimney leading to the summit with amazing panoramic views located here. You should spend about 4 hours on discovering all of Marble Mountains so it is good to begin early when it is not hot and you can wear comfortable clothes and shoes. If possible, do not forget bringing a torch. Here, Vietnamese children sell souvenirs and you could expect to be hassled till you have either bought an item or “tipped” them few dollars as a “tour guide”. Among 5 mountains, the Thuy Son (Thuỷ Sơn) Mountains is the largest one, comprising caves, pagodas, caverns, and two viewpoints with some wonderful views of Da Nang City and the coast of Non Nuoc Beach in the background. Kim Son (Kim Sơn) Mountain, situated on the banks of the River Co Co (Cổ Cò), represent for metal and possesses a shape resembling a Bell. This mountain has two highlights, which are Quan Am (Quan Âm) pagoda and Quan Am (Quan Âm) cave, named the mysterious cave by suggestive and strange shapes making up the stalagmites and stalactites, where locals say they resemble figures of dragons and Buddha. It is recommended to take a boat down River Co Co before dusk in order to witness the shadow of the marble mountains along with the reflection of the temple on this river. Moc Son Mountain is the only one having no caves or pagodas. There are multiple tourist attractions, such as pagodas: Pho Da (Phổ Đà), Linh Son (Linh Sơn), Quan Am (Quan Âm), Thai Son (Thái Sơn), Tam Ton (Tam Tôn), Long Hoa, Tam Thai, Linh Ung (Linh Ứng) and caves: Van Thong (Vân Thông), Huyen Khong (Huyền Không), Quan Am, Hoa Nghiem (Hoa Nghiêm), Linh Nham (Linh Nhâm), Tang Chon (Tàng Chơn) and Am Phu (Âm Phủ). Hoa Son (Hỏa Sơn) Mountain is the place where two rivers passed zigzag formed down to the beach. The ancient folks said that the river represents the yin-yang symbol, giving harmony and peace to this site. Despite today, some remnants of the Champa (Chăm Pa) civilization could still be seen, the highlight of this mountain is the Pho Da Son Pagoda, small pagoda which includes vestiges of Emperor Minh Mang(Minh Mạng), Princess Ngoc Lan (Ngọc Lan). Tho Son (Thổ Sơn) Mountain is smaller than the above, formed by marble and clay. The Champa Civilization used this mountain as a reddish-brick base covered by grass. Having an irregular shape, this mountain is compared with the dragon’s shape. Besides, the most noticeable highlight of Tho Son Mountain is a tunnel used in the Vietnam War. Near this pagoda is a column of rock that is 30 meters in height, resembling Buddha. Thuy Son (Thủy Sơn) Mountain is the mountain of water – the largest and also most beautiful one of all mountains. Undoubtedly, visiting this mountain is one of worthwhile things to do in Da Nang. It concentrates almost all the points of interest of tourists. At the top of this mountain are marble and breathtaking viewpoints. Covering an area of about 15 hectares, this mountain comprises in turn 3 rocky peaks. Some of the highlights are Linh Nham (Linh Nhâm) cave that is the holes formed on the walls of the cave, and the Tam Thai Pagoda. The peak that is larger is known as Tam Thai, which is also the name of the pagoda located there. In order to access the temples, viewpoints of mountain water and cave of the marble mountains group, tourists have two choices of path. These paths are formed by flights of stairs: the road situated in the western path of the mountain composing with 156 steps while the path of the East is composed of 108 steps. If you want to visit the attractions here, it is recommended to wear footwear comfortable and appropriate. Keep reading this detailed list to discover more great things to do in Da Nang that will absolutely not let you down! 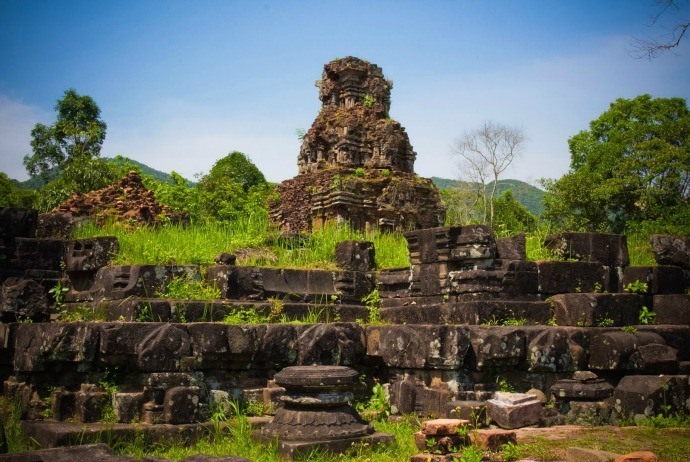 This is the most extensive Cham remains of Vietnam, which enjoys an enchanting setting in a lush jungle valley. The temples here are now in poor shape – just only 20 structures survive where there are at least 68 ones once stood. The intimate nature of this site, surrounded by gurgling streams, is still enthralling. Once being the most important intellectual as well as religious centre of Champa’s kingdom, My Son might was rediscovered in the late of the 19th century by the French, who restored some parts of the complex. However, American bombing later damaged the temples somehow. Nowadays, it is a Unesco World Heritage site. Archaeologists have divided monuments of My Son into 10 major groups, which are uninspiringly named A, A’, B, C, D, E, F, G, H and K. Each structure within that group is given a specific number. 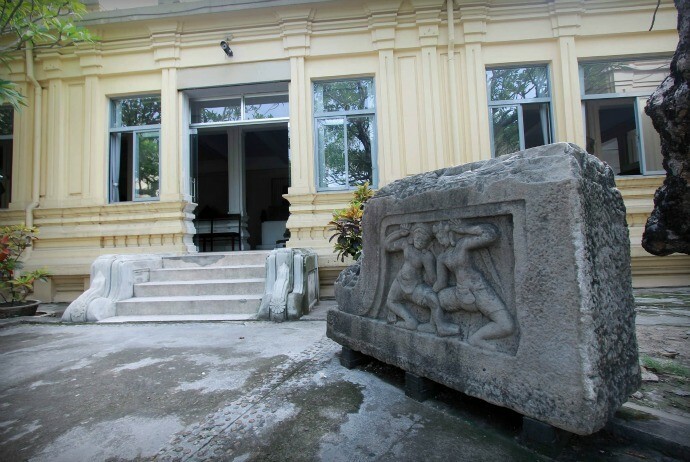 According to many French, Vietnamese, and Poland researchers, My Son Sanctuary architecture was impacted by Arabian, Indonesian, Malaysian, particularly Indian culture, and it is the convergence of many styles like ancient style in the period from the 7th to 8th century, Hoa Lai (Hòa Lai) style in the period from the 8th to 9th century, and Dong Duong (Đồng Dương) style in the mid of the 9th century, not mentioned to My Son-Binh Dinh (Mỹ Sơn – Bình Định) style. The towers here were established from red bricks and sandstone. Nowadays, the brick making as well as construction remain a mystery among many archeologists and tourists. Despite there are not many remnants left, My Son Sanctuary still boasts the rich arts and culture of ancient Champa kingdom in glorious time. Due to those priceless values, in the past, it was honorably recognized as the World Cultural Heritage Site and attracts millions of visitors annually. As a tourist attraction, the ruins still get busy, so if you could, go early or late. Da Nang is attractive for most travelers not only due to the beautiful beaches, stunning scenery, clean and green city but also extraordinar and delicious cuisine which is made by the locals. Da Nang street food plays certain part in reflecting the rhythm of daily life and special gastronomy of people here. If you have a chance to visit Da Nang, enjoy some foods here as tasting foods is among great things to do in Da Nang. 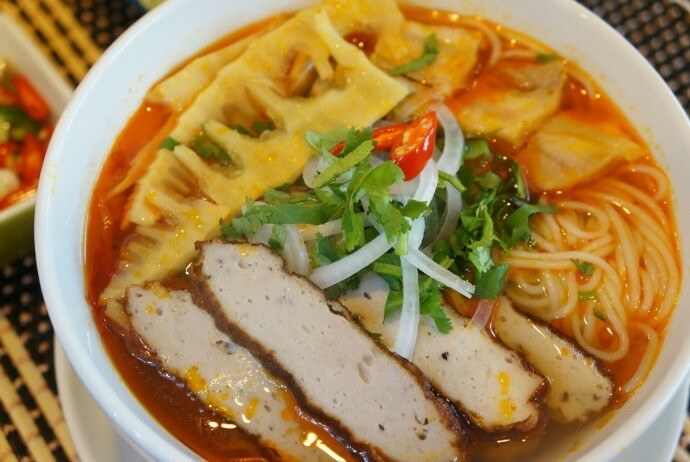 Similar to other cities in Vietnam, Da Nang also has a remarkable food culture with a lot of cuisines. In fact, Vietnamese love seafood, yet beef, chicken, pork, fruits and vegetables are common in their dishes. Their cuisine is reckoned non-fattening, and healthy, which may explain why most people are thin, despite the fact that they seem to eat throughout the day. In fact, dishes are usually flavored by fish sauce made of the fermented anchovies and spiced with ginger, lemongrass, Vietnamese mint, coriander, Saigon cinnamon, bird’s-eye chili, fresh basil leaves and lime. The final taste is an enticing combination of contrasts salty, sweet, and spicy. In Da Nang, you can try Quang Nam’s noodle (phở Quảng Nam) to find the different flavor between it and Hue beef noodle or Hanoi beef noodle. The most recommended food to taste in Da Nang is “Banh Beo” (Bánh Bèo), which is made of rice flour. Upon eating “Banh Beo”, people use small bamboo stick, the flavor of shrimp mixed with chili, garlic and so on give them really unforgettable impressions. Besides, you should also enjoy Nam O (Nam Ô) Raw Fish Salad, Jelly-Fish Salad. Banh trang cuon thit heo (bánh tráng cuốn thịt heo) – Rice paper roll with pork, at Tran (Trần) Restaurant on Hai Phong (Hải Phòng) Street or Mau (Mậu) Restaurant at 35 Do Thuc Thinh (Đỗ Thục Thịnh) Street. Banh canh – thick Vietnamese noodle that looks quite like Japanese udon, on Nguyen Chi Thanh (Nguyễn Chí Thanh) Street. Hai Van (Ocean Cloud Pass) is renowned as the craggiest and longest pass (about 21km) in Vietnam. The highest mountain peak is about 496m above the sea level. This impressive landscape is like a giant dragon, lying on Highway 1 on the border between Thua Thien-Hue (Thừa Thiên Huế) province and Da Nang city. This rugged pass is the final section of the Truong Son Range that stretches to the sea. Meaning “Sea Clouds”, Hai Van Pass has its foot close to the sea. In the past, Hai Van Pass was known as the Thuan Hoa (Thuận Hóa) and Quang Nam (Quảng Nam) frontier. 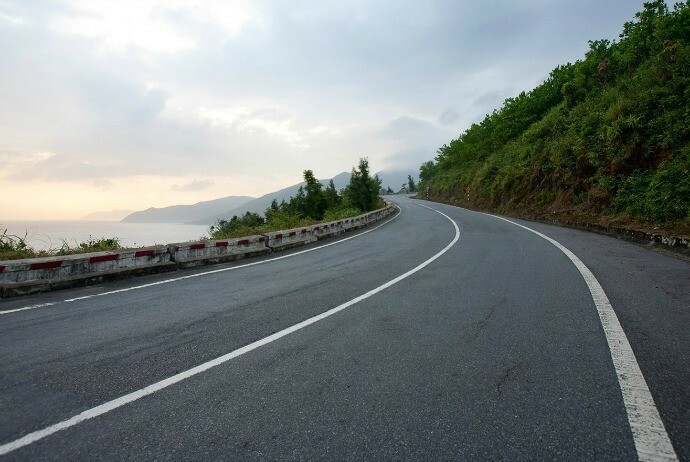 If you go through Hai Van Pass, two feelings will be experienced: amazement when passing through the clouds and fear when seeing dangerous bends of the road. After climbing via hair-pin curves, you will reach the crest of Hai Van Pass. Here, when the weather is fine, you could witness views of both the South and the North. The pass forms a clear boundary between the North and the South Vietnam. With blind corners and sudden curves, Hai Van Pass really challenges the skills of drivers like an arrogant but beautiful. Considered as the largest frontier post in Vietnam, Hai Van Pass often comes with the name “Thien Ha De Nhat Hung Quan” (Thiên Hạ Đệ Nhất Hùng Quán), meaning the most colossal frontier post. Hai Van is famous for its dangerous roads, and accident warning boards carefully and regularly appear along the side. Coming to the pass, you will live with the air of cloud and wind, and slight fog like fairy land of fairytale. If you are among those people who love adventure, going along this pass will bring to you great experience. Hai Van Pass will definitely satisfy your passion and desire to conquer high peaks and remind you of the glorious past of Vietnamese people. Furthermore, from the pass, on nice days, tourists could enjoy the whole vista of Da Nang, the Son Tra Peninsula, Tien Sa (Tiên Sa) seaport, Cu Lao Cham (Cù Lao Chàm) island and long beautiful sandy beaches. Han River Bridge is the one flowing across the heart of Da Nang City. This bridge plays a crucial role in developing Da Nang tourism. Considered as one of the most tourist-attracted destinations in Da Nang, tourists coming here will be impressed y its charming and glorious beauty when this city turns on lights. At night, Han River becomes very extraordinarily sparkling and dreamlike, so it would be a good guide for travelers to enjoy the cool wind and fresh air at Han River Bridge or take a certain small boat and then row along the Han River to enjoy the beauty of city at night. Moving along this bridge, people are recommended to visit Thuan Phuoc (Thuận Phước) Bridge as well as Rong (Rồng) Bridge. 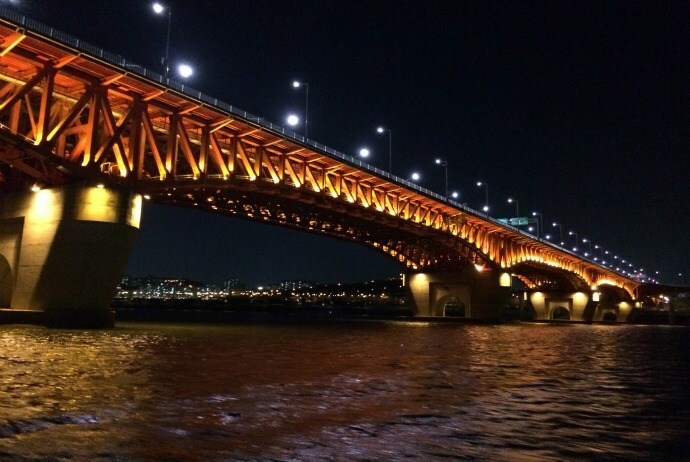 Aside from Han River Bridge, the two bridges do not just only make good conditions for tourism and develop economy of the city, but they also help to keep cultural values for eternal posterity. If you have ever been to the seashore of Vietnam, then you have undoubtedly seen the round, basket-shaped boats bobbing on the waves, being rowed with a single oar. They are used for simple fishing or as a transporting vehicle to larger anchored vessels. 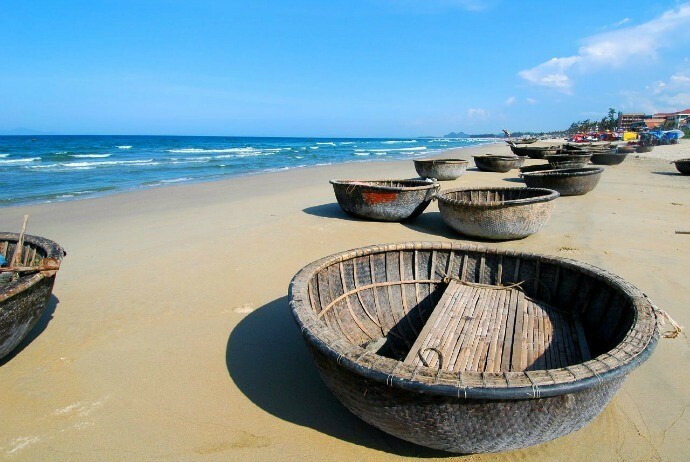 These basket boats still remain a symbol for fishing villages in Vietnam. One of the most unique things to do in Da Nang, is learning how to pilot this tool by yourself. Actually, it is not as easy as it looks. So, do not miss a chance of trying it out! Maybe, you have once seen the Non La (Nón Lá) of Vietnam somewhere on TV. If you visit Da Nang, you have a chance of making it by yourself. Non La, a traditional costume celebrating a prominent presence in Vietnam’s daily life, is easily spotted on Da Nang’s fields and even streets. This hat crowns the head of farmers who work on the rice fields, works, vendors on streets, and even modern Vietnamese ladies. 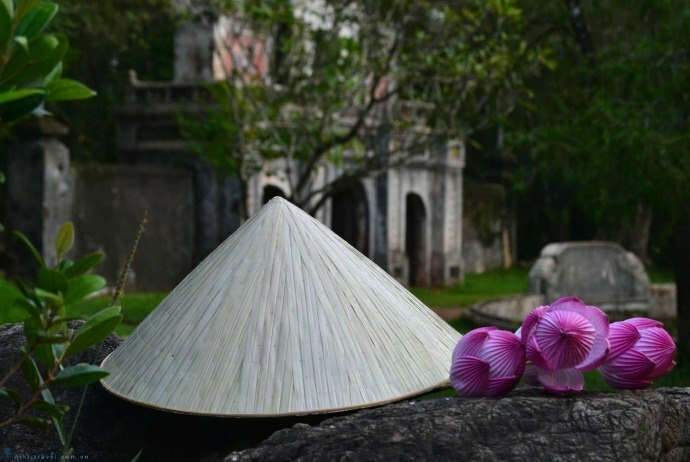 For an unforgettable In-The-Know experience in Da Nang, why don’t you join in Non-La Making activity at InterContinental Danang Sun Peninsula Resort and learn from the skillful craftsman on how to make your own simple but charming conical leaf hat. 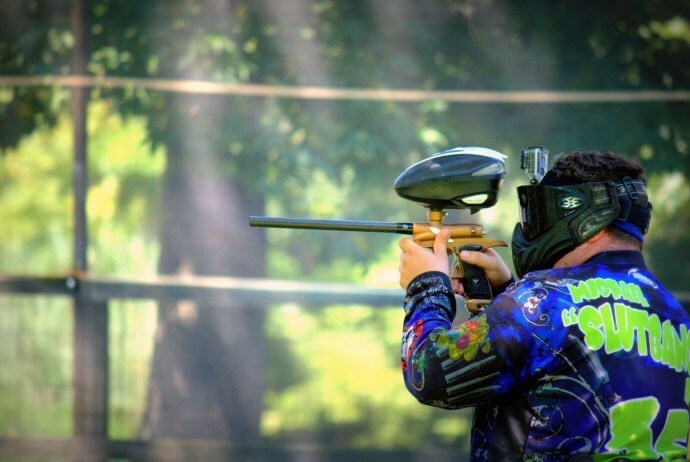 Paintball is a sport in which players will compete; in teams or individually, in order to eradicate opponents by tagging them with capsules consisting of water soluble dye and gelatin shell outside (mentioned as paintballs) propelled from a device named a paintball marker (known as a paintball gun). If you love something interesting and threatening, then playing paintball is one of the most interesting things to do in Da Nang you could try. Da Nang Paintball Club was built in 2012, in the military training and sport center, and has been the single paintball club in Vietnam’s central area. With attractive and dramatic games, players will enjoy the most exciting attraction in Da Nang and also go through the real feeling of Counter Strikes, Cross Fire, Commando, etc. The game is so easy-to-play but still safe. It is suitable for anyone from all genders and ages, from all walks of life. Da Nang, with colorful culture, friendly inhabitants, and many stunning views, from peaceful rivers, green villages, palm-shaded beaches, golden rice paddies, and mountains, is idea for biking. 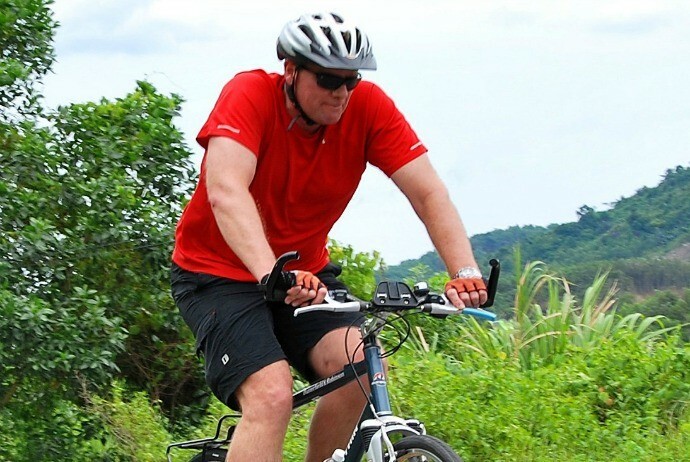 Opt for a cycling tour and pass the most beautiful part of Central Vietnam with biking terrains varying from flat country paths to hilly and steep winding roads. Such kind of trip will allow you a lot of chances to explore Da Nang’s culture through interaction with local people. Yet, if you choose this activity, it is recommended to bring sunscreen, sport shoes, and camera to prepare your best for a great trip. Also, include transfer, support van, helmet, English speaking guide, high-quality mountain bike, accommodation on twin sharing basis with breakfast and lunch, and first aid kit. To be honest, Da Nang is an excellent base for tourists from all over the world to explore the wilderness of Eastern Vietnam. It is not just a travel town, but boasts itself with unique culture and tradition that you cannot find anywhere else. Just simply visit this vibrant city and let yourself enjoy the daily life of friendly local people here. Nowadays, the internet makes it easy to book tours, and find the best things to do in Da Nang. So, you have no reason to hesitate to book a tour to Da Nang instantly. This article hopefully has introduced to you a broad selection of things to do in Da Nang, helping you browse through and understand more about the culture of this city. Whether you travel to Da Nang in the spring, summer, autumn, or winter, you always have a lot of choices to see and do. Trust me! Did I miss any great things to do in Da Nang? Share your own thoughts with us by dropping words below this post. We love to hear your voice!